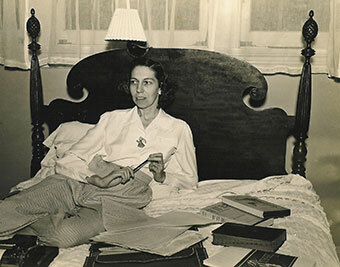 Designated a National Historic Landmark and listed on the National Register of Historic Places, the Eudora Welty House at 1119 Pinehurst Street in Jackson, Mississippi, is of exceptional national significance. 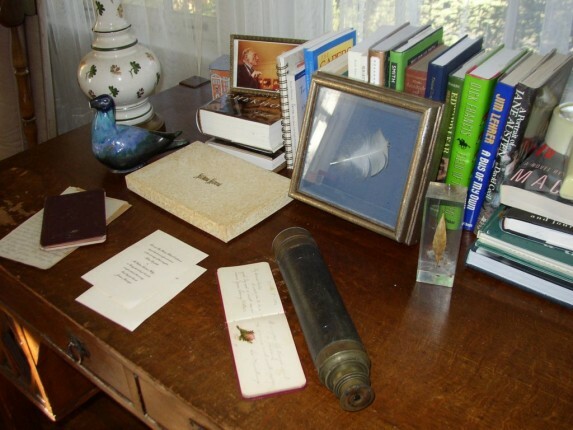 It was the home of internationally acclaimed author Eudora Welty from 1925 until her death in 2001, and the home where she wrote almost all of her fiction and essays. In 1925 at age 16, Eudora, her parents, Christian and Chestina, and her two brothers, Edward and Walter, moved to their new home on Pinehurst Street in the Belhaven neighborhood. 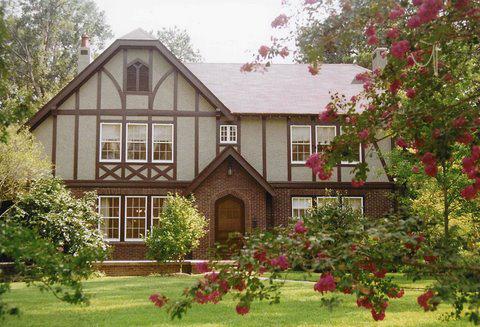 The Tudor Revival style house was designed for the Welty family by Wyatt C. Hedrick, of the firm of Sanguinet, Staats, and Hedrick of Fort Worth, Texas, the firm that had designed the Lamar Life Building then under construction for the Lamar Life Insurance Company, of which Christian Welty was a senior officer. 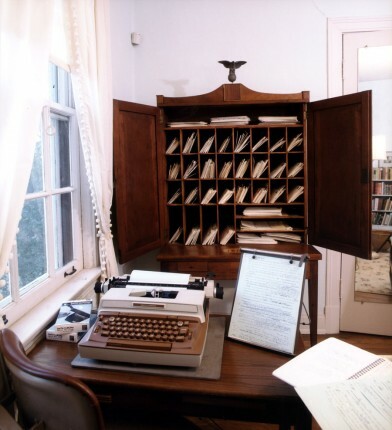 The Eudora Welty House is one of the most intact literary houses in America in terms of its authenticity. 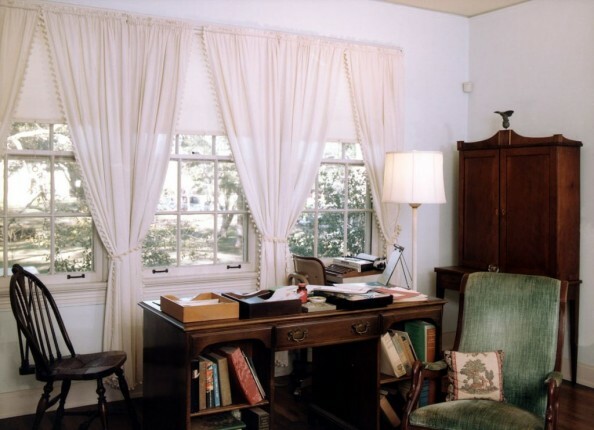 Its exterior, interior, and furnishings are as they were in 1986 when Welty made the decision to bequeath her home to the State of Mississippi: paintings, photographs, objects d’art, linens, furniture, draperies, rugs, and, above all, thousands of books in their original places. With virtually every wall lined with books, it is evident that this family of readers valued the written word. The library includes works produced by classic writers through the ages and by the best minds of the twentieth century. Welty always considered this her family home, and, in giving it to the State of Mississippi, she emphasized that it was the house of her family, a family that honored books and reading. She did not want a “house about her” but about literature and the arts in culture. The Welty House is a museum of the Mississippi Department of Archives and History. 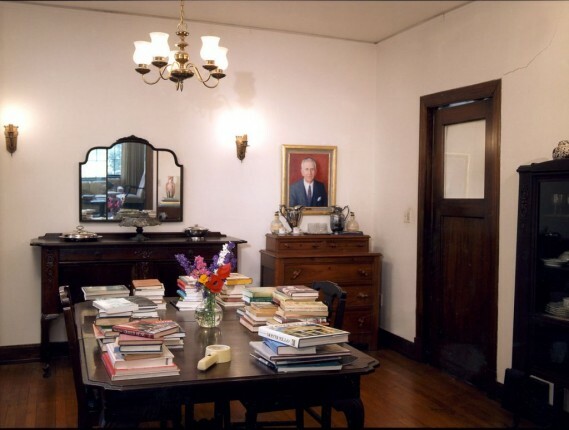 Click here to take a virtual tour of the Eudora Welty House.